Sneaky Pete drops tomorrow on Amazon Prime Video. CBS made an unfortunate mistake when they passed on the Sneaky Pete pilot. Luckily Amazon was there to save the day. 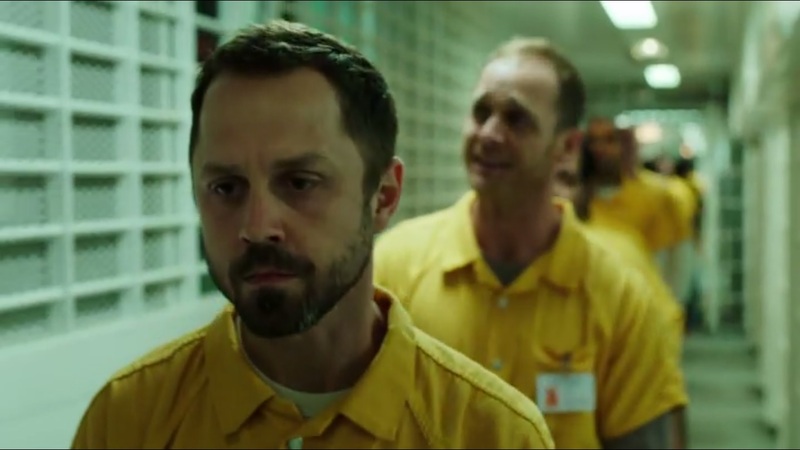 Sneaky Pete is a cutting edge drama that follows Marius Josipovic (Giovanni Ribisi), an escaped con man who finds refuge from a vicious gangster (Bryan Cranston, who also serves as executive producer) by impersonating his ex-cellmate Pete on his family’s idyllic farm. I couldn’t help but love the character, despite the times he acts selfish and greedy. Ribisi perfectly captures the quirks of Marius; I wouldn’t be surprised if we see an Emmy nomination in his future. The plot moves at a relatively fast pace, with added subplots in each episode. These feel a little “case of the week-y,” as they feature Marius working in the family’s bail-bond business, ironically trying to catch criminals who skipped out on bail. The best main cast member besides for Ribisi is Marin Ireland (she plays Pete’s cousin Julia). While you can feel the romance sparking between them, it is impossible for anything to happen as long as Julia believes they are cousins (bar an Arrested Development scenario), and this adds a lot of suspense while viewers wait for Marius to reveal his true identity or inevitably get busted. I especially enjoyed the supporting actor turn from Malcolm-Jamal Warner (Marius’ parole officer). He carries an incredibly strong screen and has great line delivery. Margo Martindale is excellent as well. All in all Sneaky Pete is a must watch. After all, it’s Bryan Cranston’s return to television! Tune into Amazon Prime Video on January 13 to watch the full season of Sneaky Pete. I give the first season of Sneaky Pete an A. Great review. I really enjoyed this show. Ribisi was super entertaining in his con-man role and Bryan Cranston’s monologue at the end of episode 4 was spectacular.